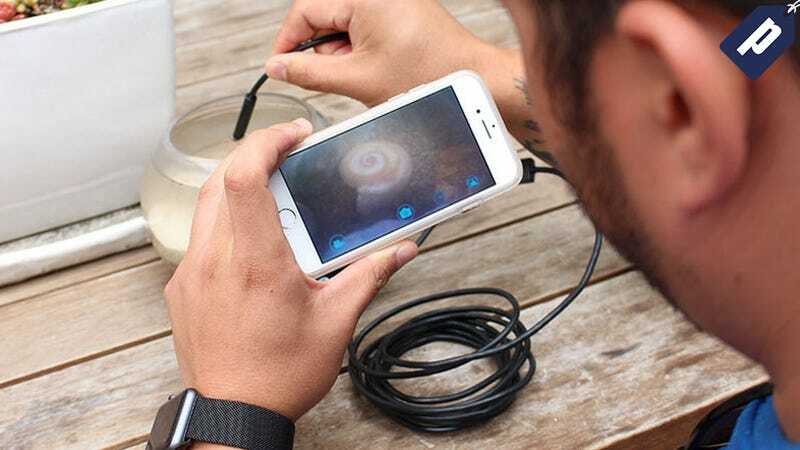 This waterproof, WiFi enabled endoscopic camera offers 3 meters of flexible cable and an 8 way LED that fits into tiny spaces to help you diagnose problems at the source. Grab one for just $24 (720p) or $32 (1080p) and save 50% with code GMGBF20 at checkout. This handy smartphone attachment normally runs for $50, but you can grab one today for just $24 (720p) or $32 (1080p) using code GMGBF20 at checkout.